Being a new dog owner can be incredibly exciting, but can also be stressful if you don’t know what you’re getting into. Owning a dog is just like having a child; it comes with responsibilities and obstacles. If you educate yourself on what to expect ahead of time, you can set you and your dog up for a successful, happy life together. Here are a few resources to get you started on your happy journey with your new furry friend! Dog parks are also a fun and free way to network with other nearby dog owners and get all their available advice on the good (and bad) resources available in your region. Word-of-mouth is inevitably going to provide better feedback than the advertisements and promotional websites of each establishment. This will help give you a well-rounded and less biased set of opinions on everything from diet to behavior in your new dog. Bringing your canine companion to dog parks is also a great way to socialize him and observe some of your dog’s key behaviors for yourself. Check out this document that contains everything regarding adopting your first puppy or adult dog: A New Dog in the House: From Shelter Dog to Beloved Family Member (PDF). This is a general set of helpful guidelines for integrating your new dog into your life seamlessly and with love. These tips focus on dog behavior, and how to set rules to ensure that your canine companion becomes a thriving member of the family. There are a plethora of professional opinions on what dogs should eat. It really boils down to personal preference of the owner. A good place to start are general dog diet forums. This will help you see all the possibilities out there and narrow in on the options you like. Some people advocate raw dog food diets, while others prefer kibble and veterinarian-recommended diets. There are breed-specific diets and foods, as well as foods based on age and size. For a better dog food resources breakdown, read the Dog Food Reviews article. If you have a puppy or a dog with known medical issues, you should definitely consult your veterinarian or a canine nutritionist, as these dogs could experience damages to their health if certain dietary specifications are not met. The best places to start outside of the internet are your veterinarian, a canine nutritionist and your local pet food store. Both establishments will have people trained to give you sound advice for feeding your dog a healthy diet. A quick, easy-to-grasp overview of how dogs learn, this book is a great resource for new dog owners. It contains clear and simple information on how best to teach your dog based on how the species learn. This one-of-a-kind book focuses specifically on crate training. The author brings the owner up to speed on how to effectively, safely and humanely crate train your dog. This website contains an abundance of information on how to train your dog to walk on a leash. The philosophy behind the advice is based on the notion that dogs over generally overstimulated while walking, and helps the owner effectively navigate around that obstacle. Containing training techniques, “what not to do,” and troubleshooting, Stilwell’s advice is also accompanied by other helpful links and resources to help you learn how to walk comfortably with your pooch. Voted the #1 best book in 1999 by the Association of Pet Dog Trainers, this book encourages fun training using toys, treats, and other rewards. From leash training to behavior modification, this comprehensive guide is a highly recommended resource for new dog owners. Yin is one of the leading veterinary behaviorists in the U.S., and this bestselling book delves into key concepts of dog behavior in clear and concise language. 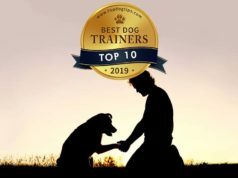 This scientifically sound theory is also a practical approach, teaching the owner not only how to train the dog but how to behave in ways which serve to enforce those instructions long-term. For a comprehensive breakdown of dog breeds and their behavior and health trends, look no further than our extensive dog breed profiles and the American Kennel Club. The AKC organization and their website offer owners information on their breed including diet and grooming needs to medical resources and meet-up offerings. This site offers a community for owners of all pure breeds, and gives you answers to all the questions you have about your breed. The AKC’s helpful information will assist you in understanding what drives your dog, as well as what patterns to expect in health and behavior. This website from the American Veterinary Medical Association provides crucial information for owners for what to do in case of a medical emergency. It provides instructions for what to do in case of poisoning, seizure, limping, overheating, and other time-sensitive situations, and provides you a list of first aid supplies to have on-hand at all times. Its numerous links and resources also give advice on first aid during travel, as well as disaster preparation. The Red Cross trains more than 9 million people in life-saving skills each year, and here they provide that service for animals. Offering affordable and flexible training to pet owners and animal professionals, the Red Cross teaches people vital first aid and CPR skills for dogs and cats. Classes start as low as $70, and are offered in most areas. Training can be both in-person and web-based, and online skills refreshers are offered for free. Simply choose your area and the skill set you wish to learn to get started on your pet first aid certification today!